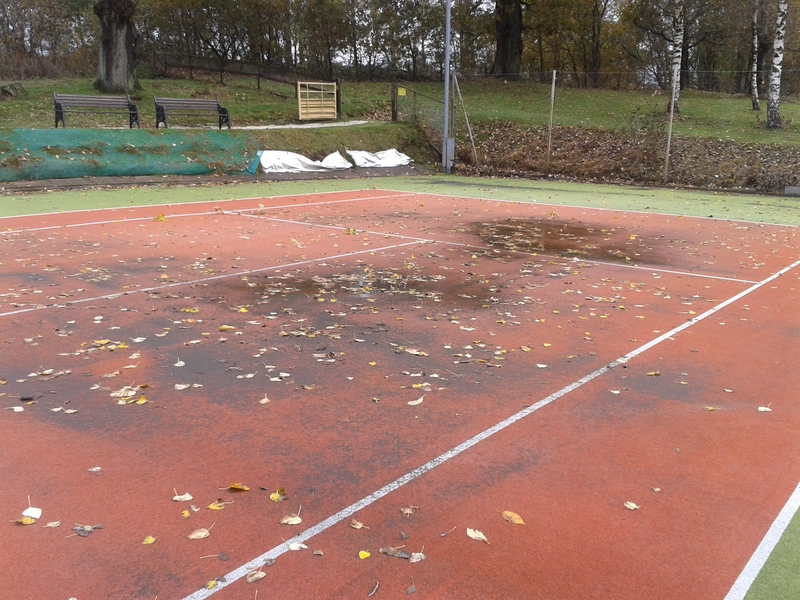 Dumfries Tennis Club courts being rejuvenated by Replay Maintenance, which has been made possible with £6,000 worth of funding from South West Environmental Action Trust (SWEAT). 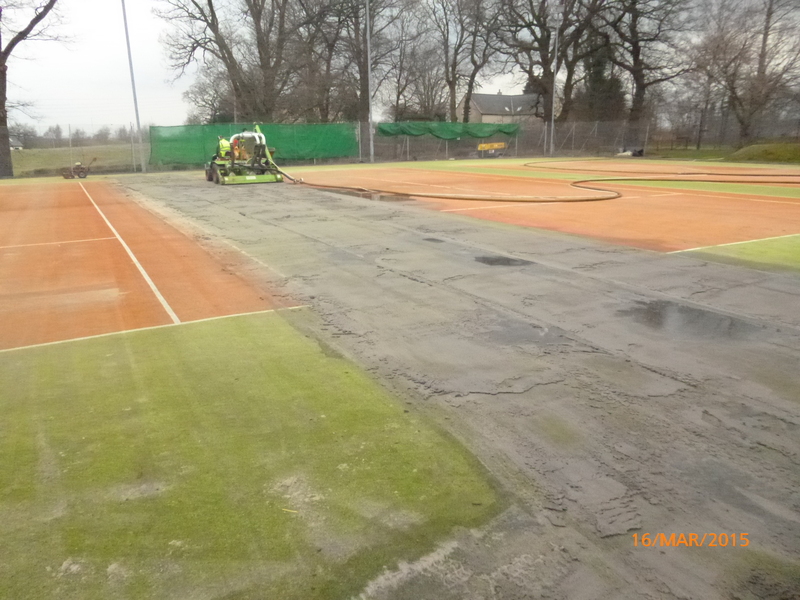 Replay’s patented REPLAY REJUVENATION® process will restore our compacted and contaminated tennis courts surface to a nearly new condition, this process will improve the performance and appearance using compressed air to remove the contaminated sand and restore the pile to vertical. 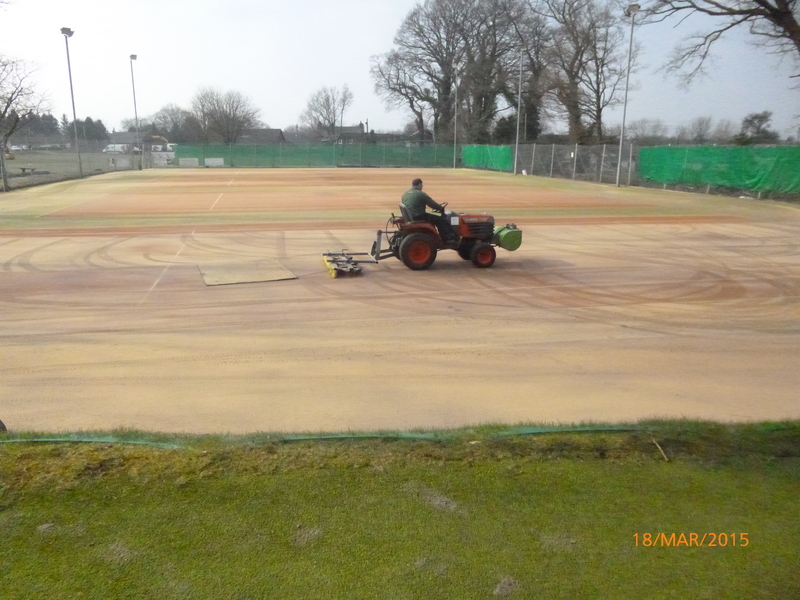 They then add 6 tonne of new clean sand to the carpet to complete the process. 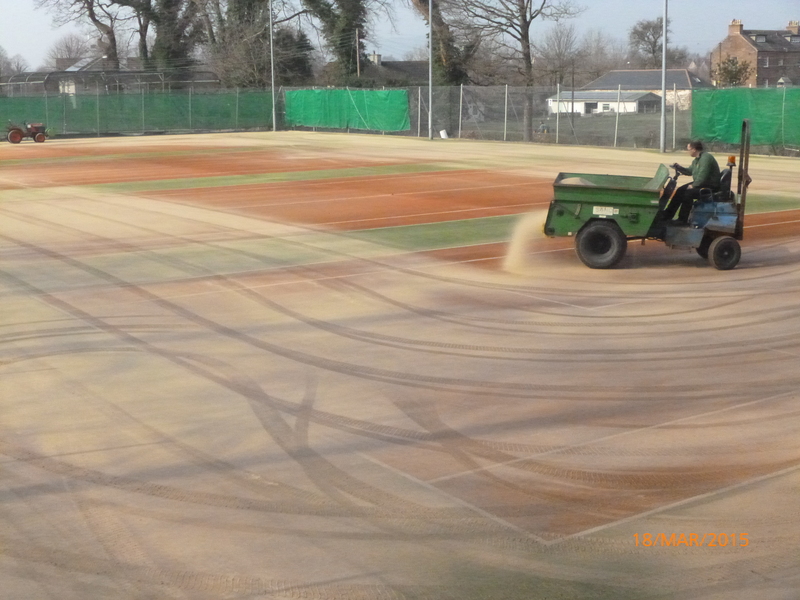 Final process with the sand being brushed into the carpet pile.